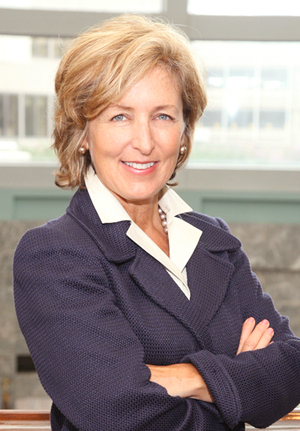 Bonnie Wurzbacher has held various executive and global leadership roles at The Coca-Cola Company in sales, marketingand management, rising to Sr. Vice President, Global Customer & Channel Leadership with responsibility for a $1.6 billion portfolio of global customers, new business acquisition and channel strategy. She both created and led the Company's first Global Customer Council and was a founding member of their Global Women's Leadership Council. She culminated her 27-year career at Coca-Cola by helping the Company shape and launch a new global initiative called "5 BY 20" that will enable the economic empowerment of 5 million women by 2020 by leveraging their extensive value chain in developing countries. Wurzbacher is an accomplished public speaker, known for her passion and advocacy for the critical role of successful, ethical, and sustainable business around the world. As a strong, female, executive leader, she also brings a fresh leadership perspective to the table and serves as a role model and mentor to future leaders...both women and men. Wurzbacher is currently engaged as a Senior Advisor to World Vision, one of the largest humanitarian organizations in the world, working in over 100 countries to tackle the causes of poverty and injustice. She currently serves as an independent director at Cbeyond Inc., a trustee of Columbia Theological Seminary, an advisor to the Dennis Hastert Center at Wheaton College and the Women's Leadership Initiative at Gordon College, and an elder at Peachtree Presbyterian Church. In September 2012, she was recognized as one of Christianity Today's "Top 50 Women You Should Know" for shaping the church and culture. "Your speech was exceptional...in fact, I have received more positive feedback from your (graduation) address than any other."